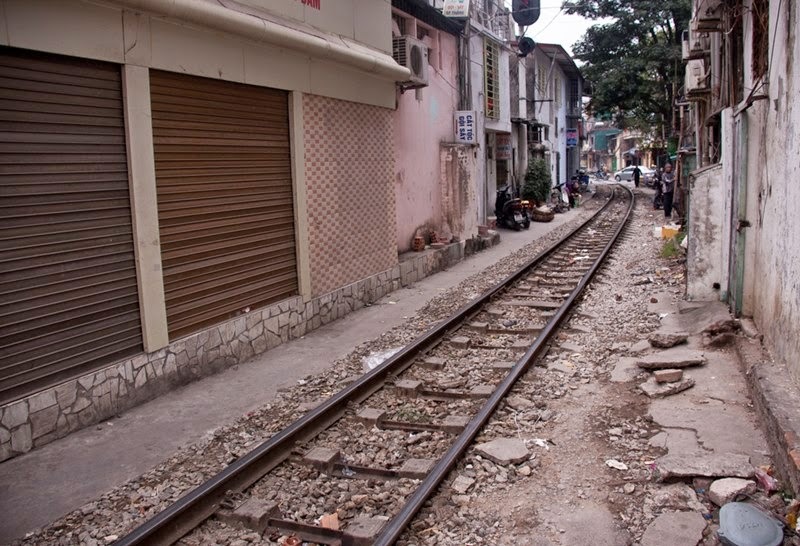 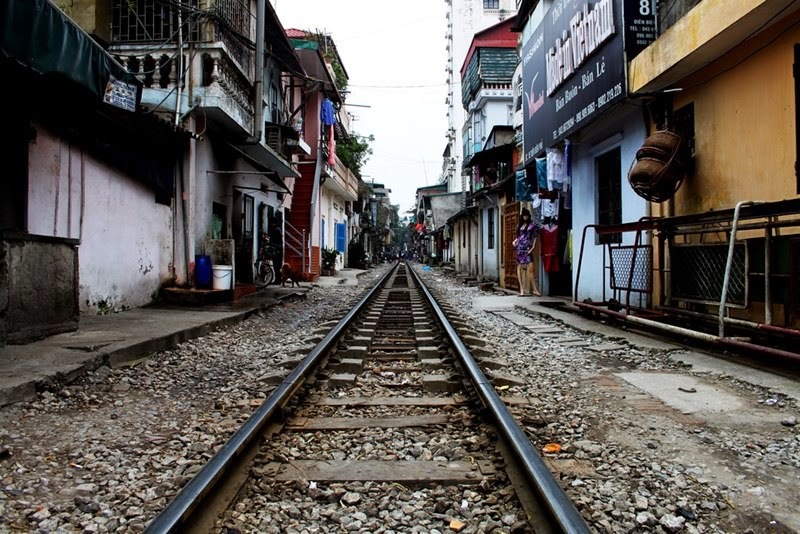 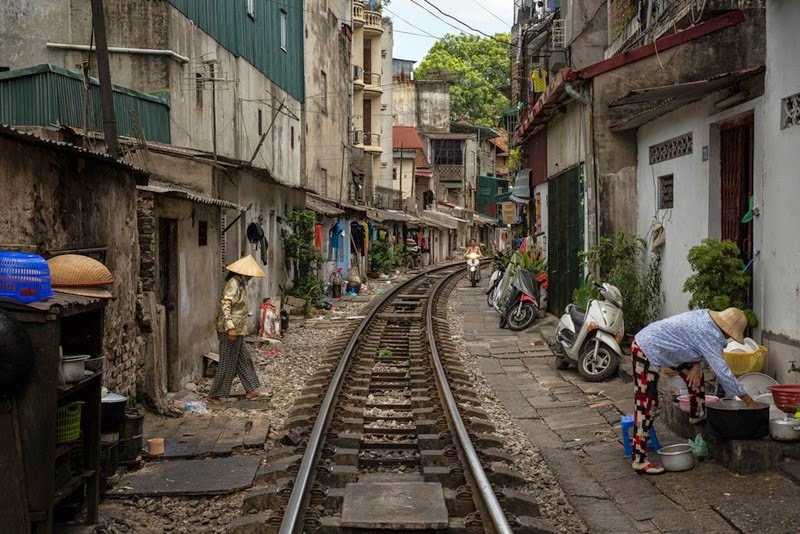 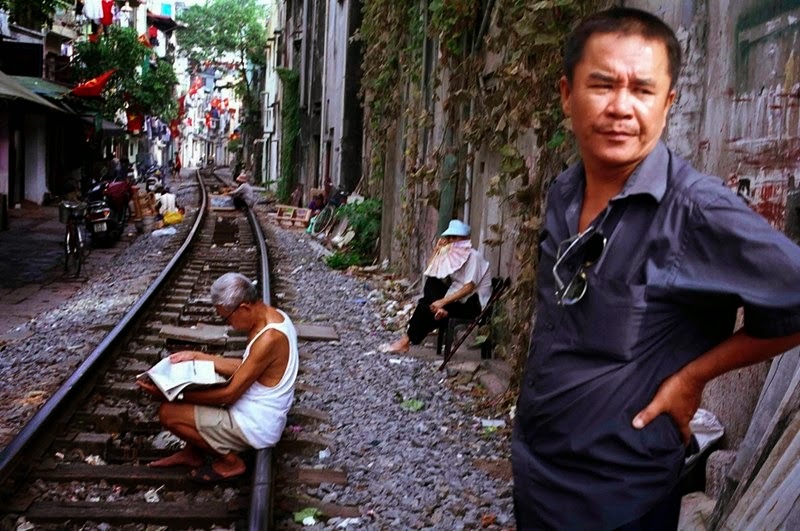 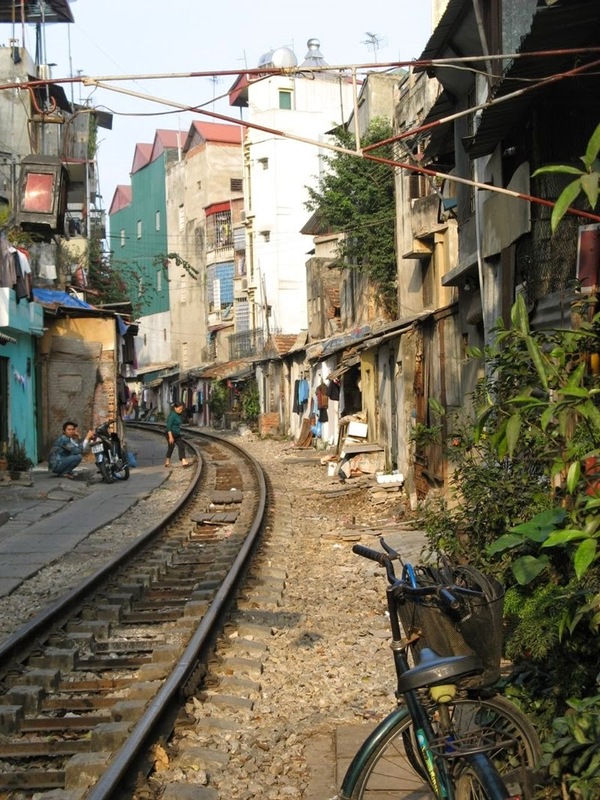 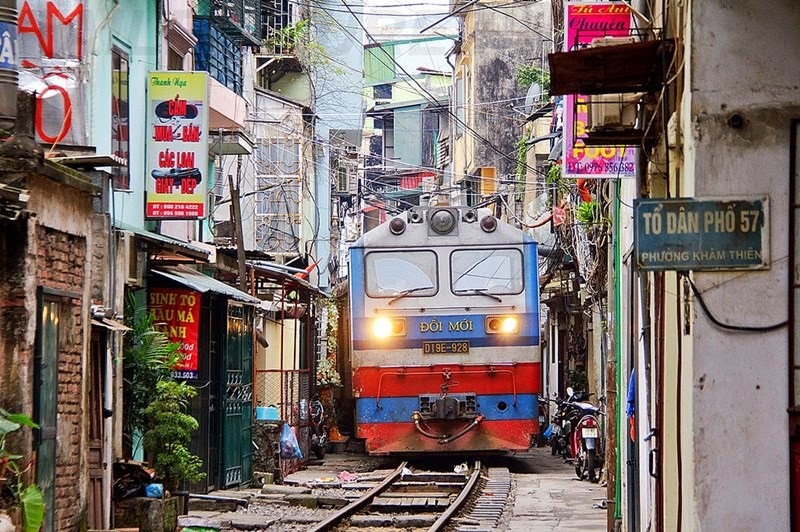 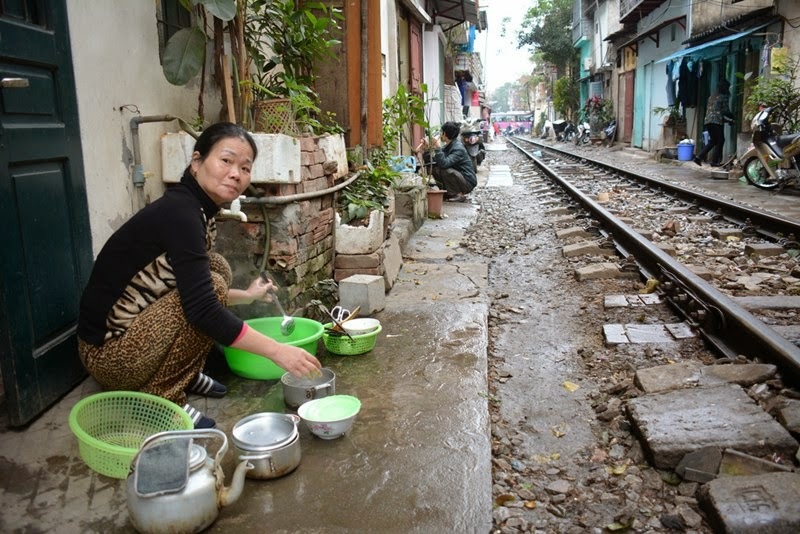 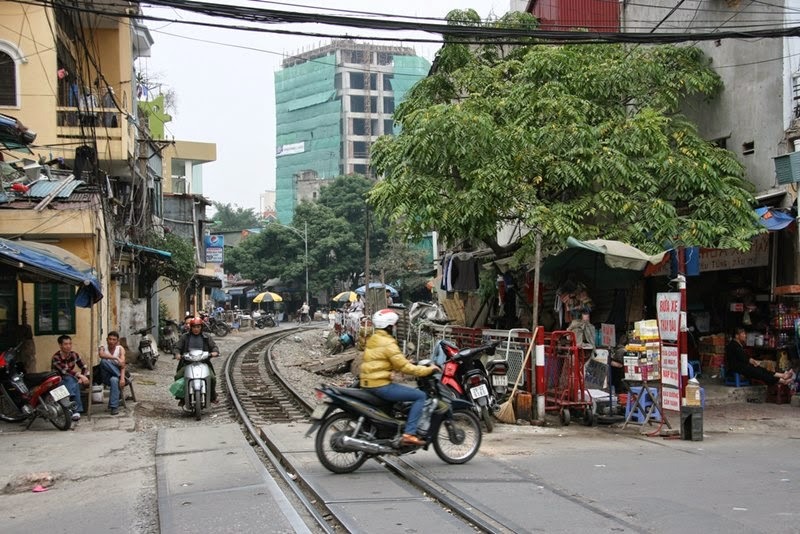 Hanoi — Vietnam is the railroad tracks that run through the narrow pedestrian street in a residential area . 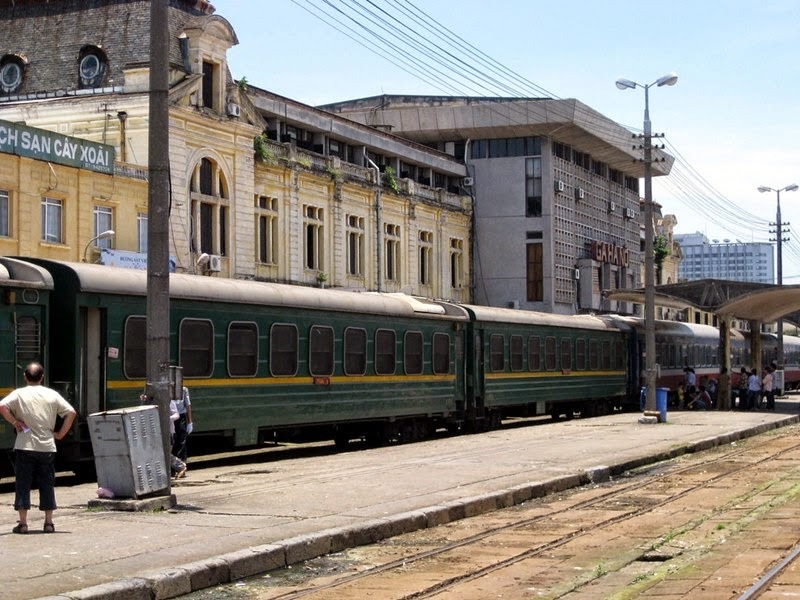 Yes, it so happened that the main railway station is located in the city center. 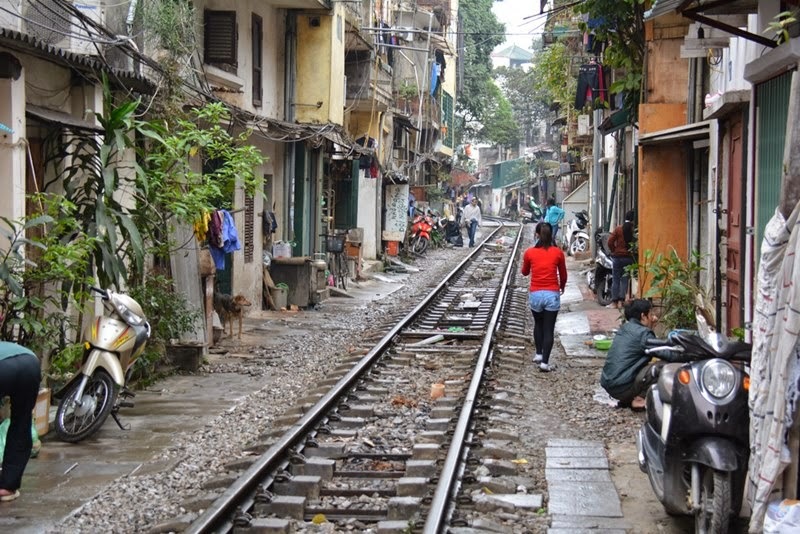 Path to the Long Bien bridge passes through the Old Quarter - a densely populated residential area, it’s no surprise that the train tracks pass by busy streets. 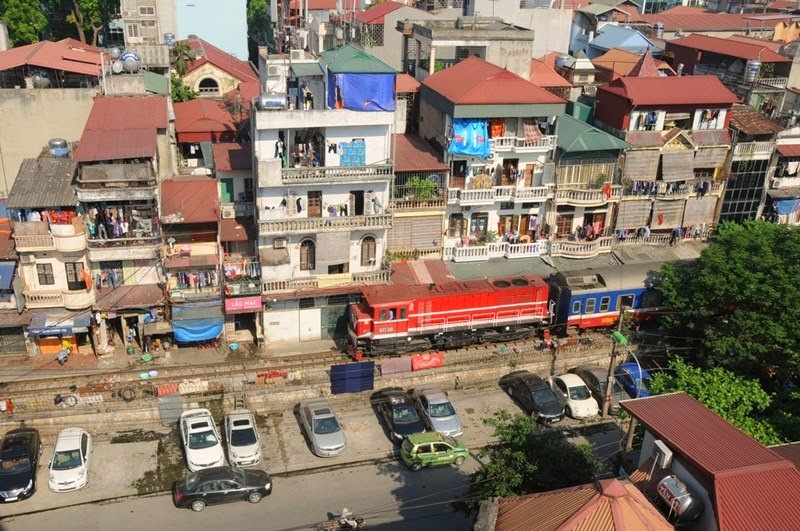 The houses here are so close to the tracks that people could easily get smacked if they don’t watch their step, or decide to stick their hands out the window at the wrong time. 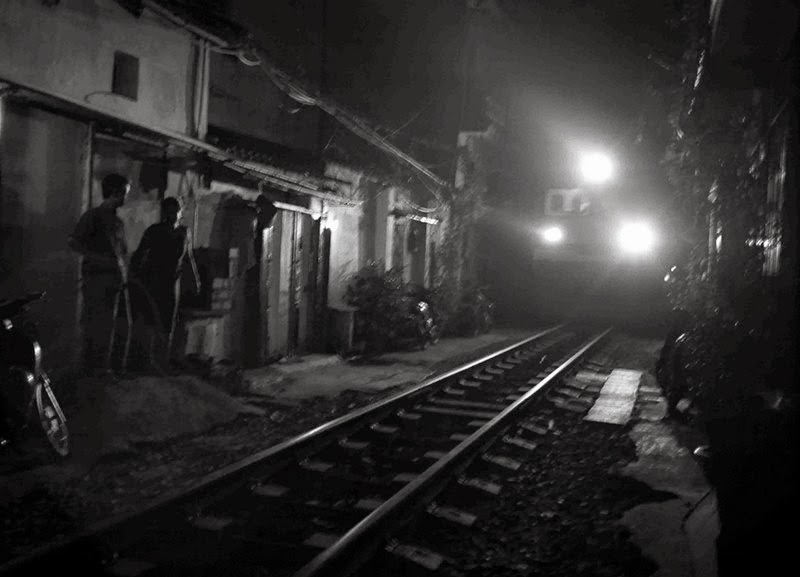 Luckily, the trains go by only twice a day, It happens every day around 4 pm and 7 pm. 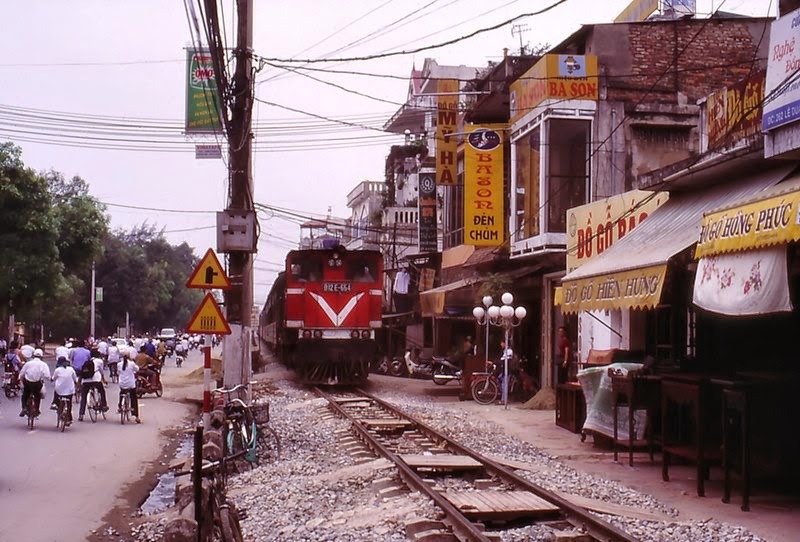 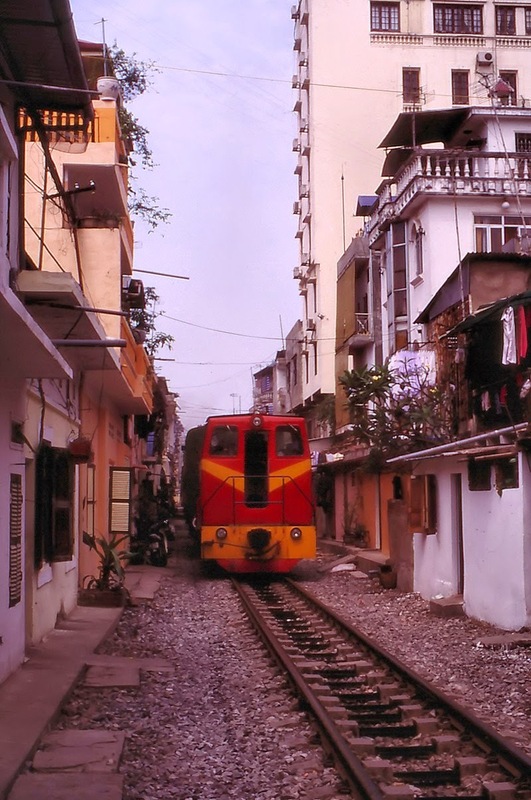 Hanoi isn’t the only place in the world where trains pass right by people’s front doors. 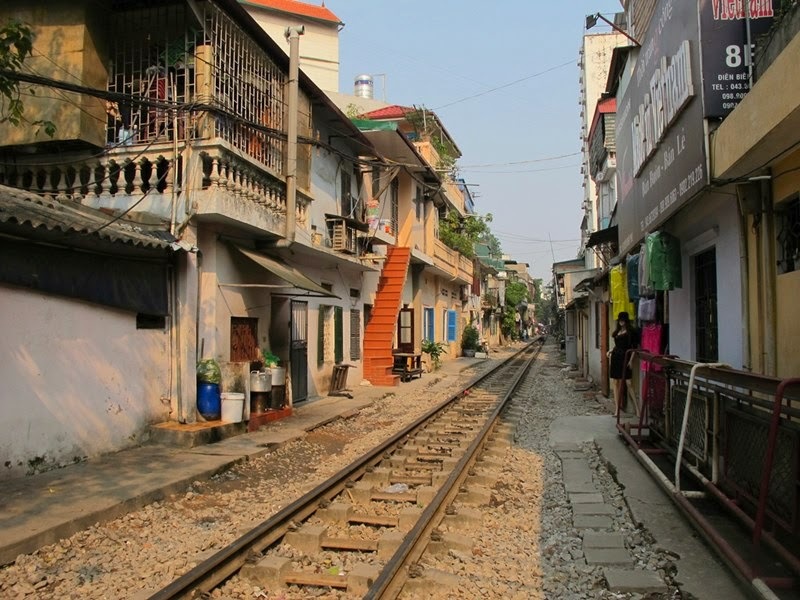 The Maeklong Railway Food Market, in Thailand, is famous for having food stalls built right on the edge of a transited train track.